During the summertime, Smith Mountain Lake is famous for its many vacationers, water activities and relaxed, sun-kissed feel. With over 500 miles of shoreline and 22,000 acres of water, Smith Mountain Lake draws people from all over the country to enjoy its spectacular setting. Those who want to take a break from water activities can enjoy some of the local area attractions: these include wineries, berry farms and orchards, the Blue Ridge Parkway, golfing or one of the many historical locations. There’s something for each member of the family to enjoy. If you are looking for some historical attractions, consider visiting the Smith Mountain Dam, Booker T. Washington Monument or the National D-Day Memorial. The Smith Mountain Dam is a main attraction for the lake. Visitors and residents come yearly to take part in picnics, enjoy gorgeous views and even get a little education. The visitor’s center overlooks the Dam and provides hands-on exhibits to ensure your trip will be both fun and educational! Come explore history at the Booker T. Washington Monument where trails and guided tours give you a real look into the life of America’s most prominent African American educator. You’re invited to explore buildings and reconstructions of the nineteenth century and truly see what life was like during this time. The D-Day Memorial is a must see for visitors and residents. Complete with tour guides, the memorial holds national and historic significance and pays tribute to the men and women of World War II. Since 2001, the memorial has seen over a million visitors giving thanks to those who gave up their lives for the freedoms we enjoy today. Located along Route 122, you can find the Sunken City Brewing Company. The 8,000 square foot brewery includes a brew house, outdoor beer garden, tap room, fermentation area, and canning room. Featuring IPAs and Smith Mountain Lake’s own Dam Lager, the Sunken City Brewing Company is a favorite among residents and visitors. As one of the oldest vineyards in Smith Mountain Lake, Hickory Hill Vineyards is history in a glass. Hickory Hill offers tours of the vineyard, wine tastings and special events for its visitors. Their locally made wines are sold throughout Smith Mountain Lake and can also be purchased at their gift shop. Voted the best winery at Smith Mountain Lake and the best place to listen to live music, Hickory Hill Vineyards is definitely a place to visit and enjoy on your next trip! 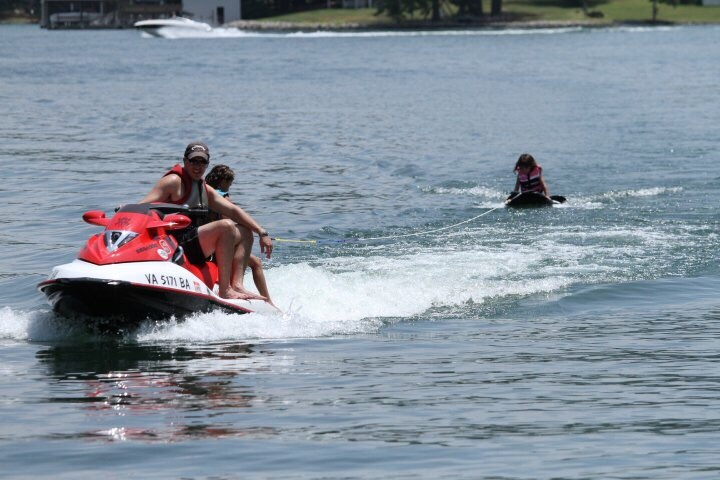 Learn more about Smith Mountain Lake by browsing my website and blog. Should you have any questions or would like to schedule a tour of our vibrant communities, do not hesitate to contact me today. I look forward to hearing from you soon and to welcoming you home to the Lake. Connect today!